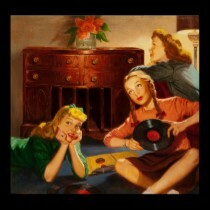 Here is a famous song performed in his inimitable manner by the legendary Jimmy Durante. 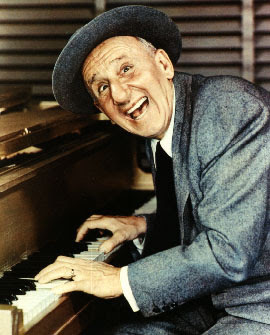 James Francis Durante (1893 – 1980), better known as Jimmy Durante, was an American singer, pianist, comedian and actor, whose distinctive gravel delivery, comic language butchery, jazz-influenced songs, and large nose — his frequent jokes about it included a frequent self-reference that became his nickname: "Schnozzola" — helped make him one of America's most familiar and popular personalities of the 1920's through the 1970's. 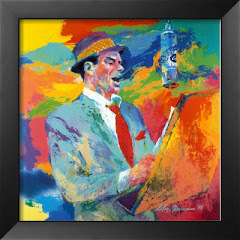 He was also one of the most beloved people within the entertainment industry: an acquaintance once remarked of Durante, "You could warm your hands on this man." 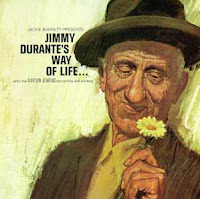 Enjoy Jimmy Durante's unique style! And here is a great number with Ella Fitzgerald, Bill Bailey (from "Hollywood Palace", 1969).